Ever improving technology allows smartphones to become an integral part of people’s lives. The reliance on and ubiquitous use of smartphones render these devices rich sources of data. This data becomes increasingly important when smartphones are linked to criminal or corporate investigations. To erase data and mislead digital forensic investigations, end-users can manipulate the data and change recorded events. 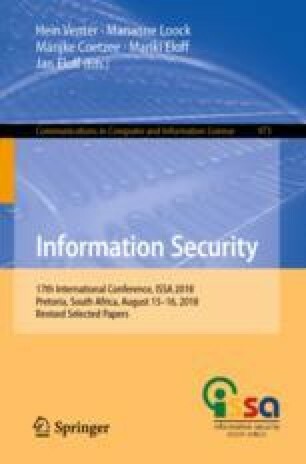 This paper investigates the effects of manipulating smartphone data on both the Google Android and Apple iOS platforms. The deployed steps leads to the formulation of a generic process for smartphone data manipulation. To assist digital forensic professionals with the detection of such manipulated smartphone data, this paper introduces an evaluation framework for smartphone data. The framework uses key traces left behind as a result of the manipulation of smartphone data to construct techniques to detect the changed data. The outcome of this research study successfully demonstrates the manipulation of smartphone data and presents preliminary evidence that the suggested framework can assist with the detection of manipulated smartphone data.